Assoc. prof. Wojciech Sowa (b. 1974) – he studied classical philology and Indo-European linguistics at universities in Kraków, Vienna and Cologne. 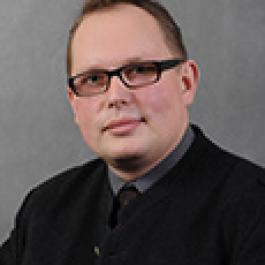 He obtained his PhD in Greek dialectology in 2002, completing his post-doctoral degree of habilitation on the basis of the book “Studien zum Phrygischen” (Göttingen 2008) in 2010. Between the years 2002-2011 he was employed at Jagiellonian University (the Chair in General and Indo-European Linguistics, the Institute of Classical Philology). At present he cooperates with the Comenius University in Bratislava and the University of Warsaw (OBTA/IBI AL). Since 2009 he has been a guest professor at the Institut für Indogermanische Sprachwissenschaft Universität Münster. A scholarship holder both in Poland and abroad from the Foundation for Polish Science, a member of the Society For Indo-European Studies Indogermanische Gesellschaft and since 2008 the Polish representative on its Presidium. Foreign scholarships: Vienna (1997-98, 2000, 2003-2004), Cologne (2000-2001), London (SOAS 2005, 2007, 2009); visiting and guest stays, lectures and papers given abroad: Brno, Prague, Nancy, Rouen, Paris (ENS), Halle/Saale, FU Berlin, Cologne, Freiburg (i. Br. ), Bochum, Graz, Klagenfurt, Innsbruck, Salzburg, Vilnius, Thessaloniki, Belgrade, Cambridge, Los Angeles. Since 2011 he has been employed at the National Science Centre in the role of Discipline Coordinator for Arts, Humanities and Social Sciences.